This country style bench is available in 3' size, 4' size or 5' size. Place this bench in your entryway or at your farmhouse dining table. 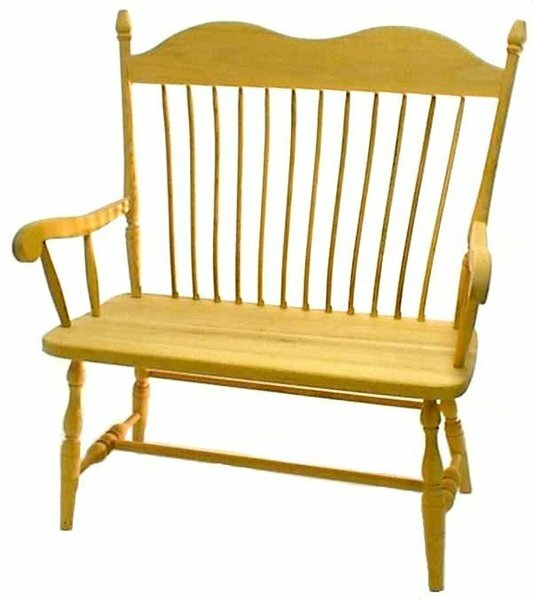 You can also pair this with our Hoosier Dining Chairs and Hoosier Rocking Chair to complete the look in your home. Order this Hoosier Bench to be made in your choice of oak, hard maple, brown maple or hickory wood with anywhere from a natural finish to a black painted finish. Finish samples are available upon request just give us a call at 1-866-272-6773. We are also happy to help you get an order started over the phone or at our Amish furniture store in Florida.